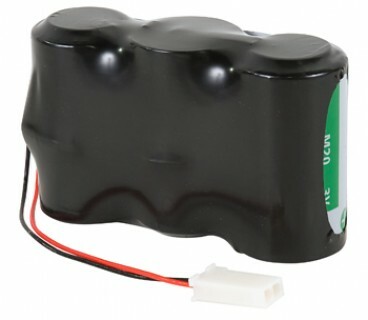 BAT200, OEM 6-year battery replacement kit for the 406AF compact or Integra ELTs. Includes 2 cell battery pack, replacement O-ring, desiccant pack and replacement self locking nuts. Attention: This Replacement Battery is 2-cell and will ONLY work with the 406-AF Compact unit. Kannad S1840510-01, TSO/ETSO approved. EASA Form 1 included. BAT300 battery replacement kit for Kannad 406 ELTs. Comes with 3 cell battery pack, replacement o-ring, desiccant pack and replacement self locking nuts. Attention: This Replacement Battery is for the 406 AF, AF-H, AP, AP-H, AS, SURVIVAL series ONLY & will NOT work with the "AF-Compact", see Alternate Items for the Compact Replacement. Kannad S1820516-99, TSO/ETSO approved. EASA Form 1 included.